ESCONDIDO (CNS) - Homicide investigators sought Friday to piece together the events that led to the apparently related slayings of two women found dead this week in the North County, one in a burning SUV and the other miles away in a home where two young children were sleeping. Though the victims' alleged killer was arrested about 14 hours after the first of the two bodies was discovered, answers in the case -- including confirmations of the women's identities -- remained elusive Friday. Shortly before 4:30 a.m. Thursday, firefighters extinguishing a blaze engulfing a parked white sport utility vehicle at the corner of Country Club and Kauana Loa drives in the unincorporated Harmony Grove area discovered a body inside it, Escondido Police Lt. Kevin Toth said. 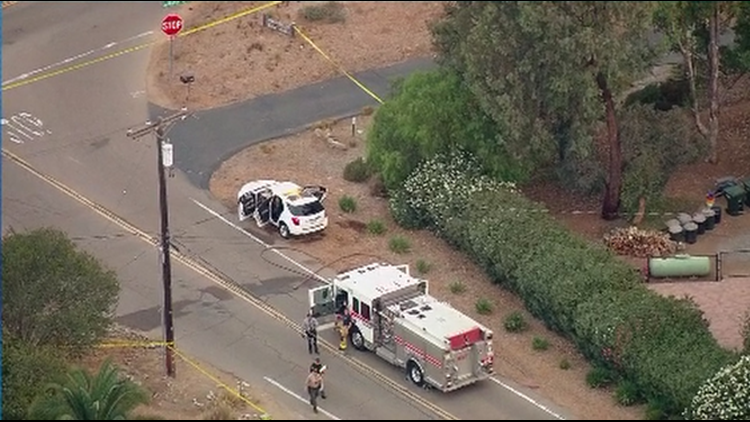 Detectives investigating the fatality traced the gutted SUV to its registered owner's residence about 2 1/2 miles to the east, in the 500 block of West 11th Avenue, near South Centre City Parkway in Escondido. Inside the home, the body of a second woman was discovered about 6:30 a.m., police said. When officers arrived, two children were sleeping unharmed in the house, Toth said. They were taken into protective custody and later turned over to family members. Both of the deceased women had sustained traumatic injuries, according to police, who withheld further details about the nature and extent of those wounds. At about 8:30 p.m., homicide detectives arrested the women's suspected killer, 33-year-old Juan Carlos Ortega, at his Carlsbad workplace, Toth said. The lieutenant declined to disclose what led investigators to identify Ortega as the alleged perpetrator. After being questioned through the night, Ortega was booked Friday into county jail in Vista on suspicion of arson and two counts of murder. Exactly how Ortega was linked to the women and what might have led him to kill them remained unclear Friday, according to Toth. "Many of the circumstances surrounding this case, including relationships, potential motives and the events leading up to the deaths, are still under investigation," he said. The identities of the slain women also have yet to be officially confirmed, according to Toth. "Due to the conditions of the victims' bodies and the circumstances surrounding their discovery, their identification is not going to be released until the San Diego County Medical Examiner's Office has conducted scientific verification of their identities," he said. Ortega was being held without bail pending arraignment, scheduled for Tuesday afternoon.